Buzz around Ridley Scott’s new film Prometheus is already pretty huge, but UK TV network Channel 4 is set push the bar to a new level by airing a live advert for the movie, which is believed to be the first to display viewer’s tweets as they are sent. MediaWeek reports that Channel 4 will air the world premiere of the trailer of Prometheus during the first break (around 9:10pm) of ‘Homeland’ on April 29. It will then follow-up the trailer with a 40-second live advert full of fans’ Twitter responses in the next break. If you’re interested in getting involved, you can tweet your thoughts about the trailer and the film using the hashtag #areyouseeingthis after the premiere has aired, helping to push mentions of the film across the social network and encourage more people to get involved. Given that the film’s latest teaser (embedded below) has already enjoyed an incredible amount of positive feedback, the trailer and the following Twitter-centric advert is sure to appeal. 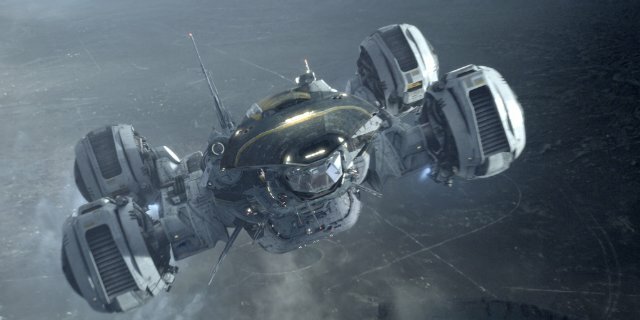 Prometheus will hit theatres on June 1, and if the Prometheus promos have piqued your interest, you can read more about the film on its IMDB page.